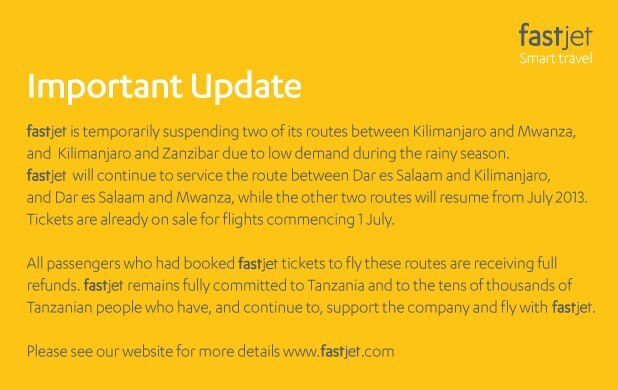 Fastjet has today announced the suspension of its recently opened routes between Kilimanjaro and Mwanza, and between Kilimanjaro and Zanzibar, reducing its network by 50%. According to the announcement on its website, it says.. The suspension of these routes comes just one month after Fastjet started operating these two routes on 18th march this year. Now Precision air (PW) will remain the only airline operating these two routes until then.